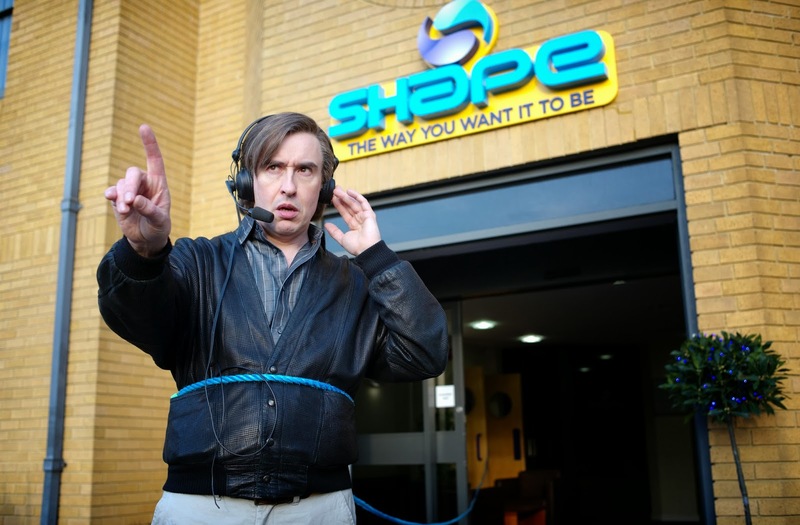 Those who have hungered for the long-gestating big-screen debut of Steve Coogan’s singular comic creation need wait no longer: Alpha Papa has landed and it is uproariously funny. Since 1994, the BBC’s four series The Day Today, Knowing Me Knowing You, I’m Alan Partridge and Midmorning Matters have chronicled the hilarious downward trajectory of the vain and obliviously tactless Alan Partridge, from failed television talk-show host to obnoxious regional radio broadcaster, mercilessly skewering English mediocrity and media ineptitude along the way. When the staff of Radio Norwich is seized at gunpoint by down-sized DJ Pat (Colm Meaney), a siege scenario somewhere between Dog Day Afternoon and Die Hard is set in motion and Alan is obliged to risk his life by serving as the intermediary. As events escalate, our blunderingly self-aggrandizing hero is not entirely unhappy to find himself at the center of a media circus: can he save the day and, more importantly, resuscitate his career? All together now: “A-ha!” A Magnolia Pictures release.